How a Remanufactured Toner's Page Yield Is Calculated | TonerGreen - Eco-Friendly Toners from the U.S. Most ink and toner cartridge stores include the print yield page of a cartridge on its container for the customers’ reference. Some are able to say that their product can make up to 4,000 pages while others remain on an estimate of 2,000 sheets. 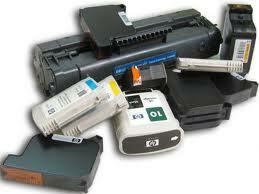 However remanufactured toner cartridges can offer more prints than others. How is that possible and how is the page yield calculated? When a printing test is performed, the standard size of a document is used to maintain consistency in the testing while also keeping the default settings of a printer. The common sizes for this test are letter size or A4 size. To make sure that the counting of yielded page does not vary, a manufacturer applies nine cartridges on the testing stage. Some may even apply more than that number, nevertheless, the level of statistical confidence will usually be at the average of 95%. The life span of a printer cartridge is a very useful factor in knowing the number of pages that it can produce. It is advisable to always follow the instructions in using a cartridge to keep its life period as said by the manufacturer. The testing of the cartridges is also done on different types of printer to maintain the compatibility of a printer and a cartridge. These are the processes done by makers of printer cartridges to measure the estimated print yield page, although in some instances, other processes are also done for validation.